All SCOTTSDALE FOOTHILLS LOT homes currently listed for sale in Scottsdale as of 04/25/2019 are shown below. You can change the search criteria at any time by pressing the 'Change Search' button below. 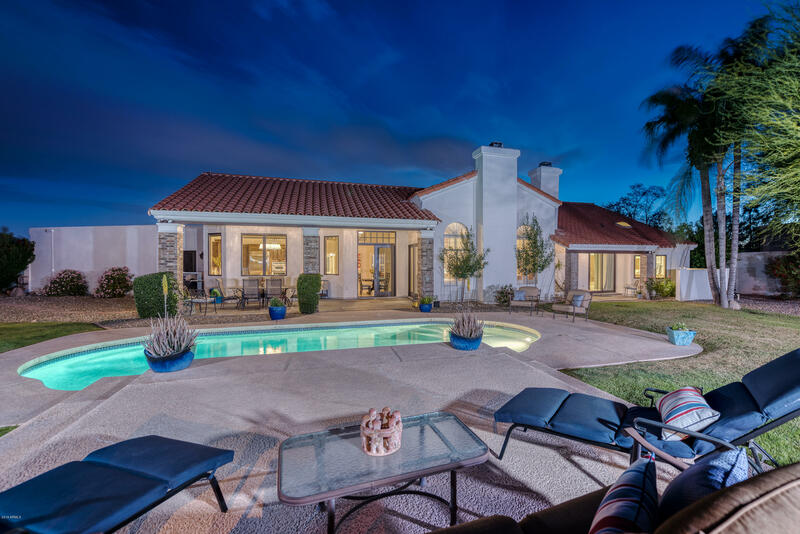 "Live the Scottsdale Lifestyle in this timeless 5 bedroom home. The chefs kitchen features hand made hickory cabinets, ogee edge granite detail, a beautiful mosaic over the range and a center island. A spacious master retreat with fireplace and a garden bath is sure to please. You will have your very own resort living in the multi-level backyard with a sport court, raised fire pit, and pebble tech pool. RV gates provide easy access. The great room features vaulted & beamed ceilings, a floor to c"